After the newly crowned two-division champion Amanda Nunes dethroned Cris Cyborg at the main event of UFC 232, the former Featherweight queen asked for an immediate rematch, but Dana White said no, claiming the victory was too dominant. Amanda told Cris Cyborg on Wednesday that she didn’t plan to remain at 145. Yet, she recommended her an opponent – a judoka Kayla Harrison. Justino looks very interested in fighting a two-time Olympic gold medalist. She is even ready to go a division up! If @Judo_Kayla wins the @ProFightLeague tournament at 155lbs she doesn’t have to come down to Featherweight. I have no problem going up in weight to compete. On the other side, Amanda Nunes is unsure about the next opponent. But she has a couple of ideas in mind. The first option is a 135-pound title defense match against a Featherweight challenger Holly Holm. The second option is dropping to 125 and meeting her old rival Valentina Shevchenko in a Flyweight title match. Amanda Nunes even wants to become the first triple champ in the history of UFC! Amanda Nunes and Valentina Shevchenko fought two times in UFC Bantamweight division. The first time, Nunes slipped through with a unanimous decision win at UFC 196 after three superb rounds. The two met again at UFC 215 for UFC Bantamweight title. The Brazilian won in a closely contested match via very controversial split decision. According to Nunes’ latest tweet, all cards are still opened. 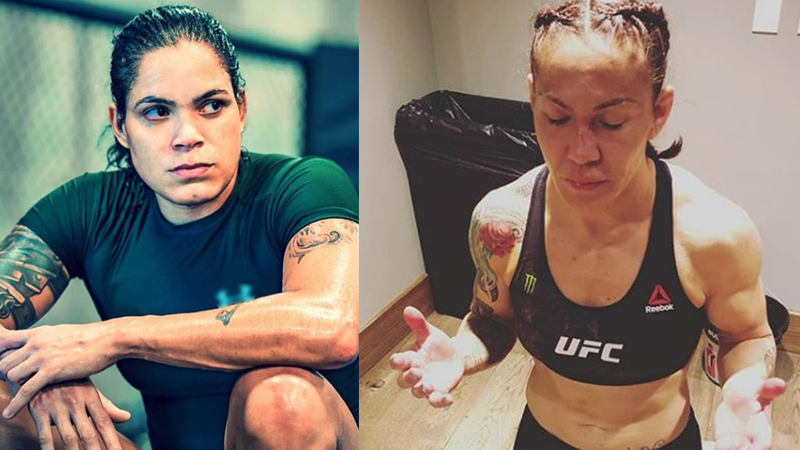 What do you think, who’ll Amanda Nunes fight next? What are your thoughts on Cyborg Vs Nunes 2?